It's like a drone for people. 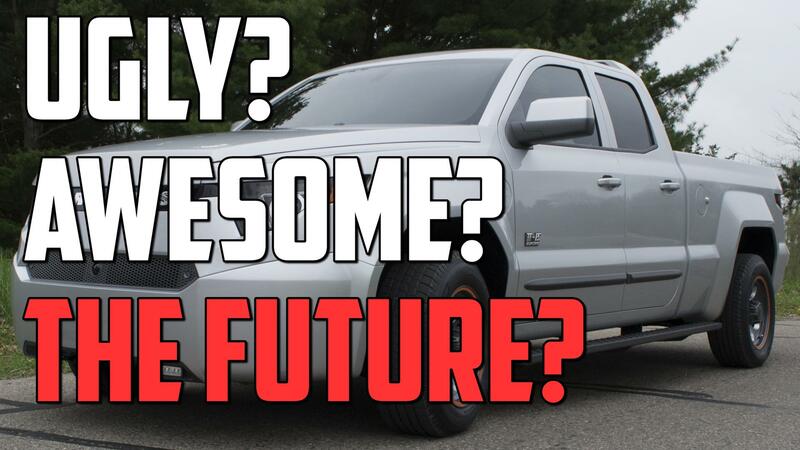 The flying car that was promised to us so many years ago has yet to arrive. Until it does, we'll have to make do with stopgaps like the recently revealed Workhorse SureFly. 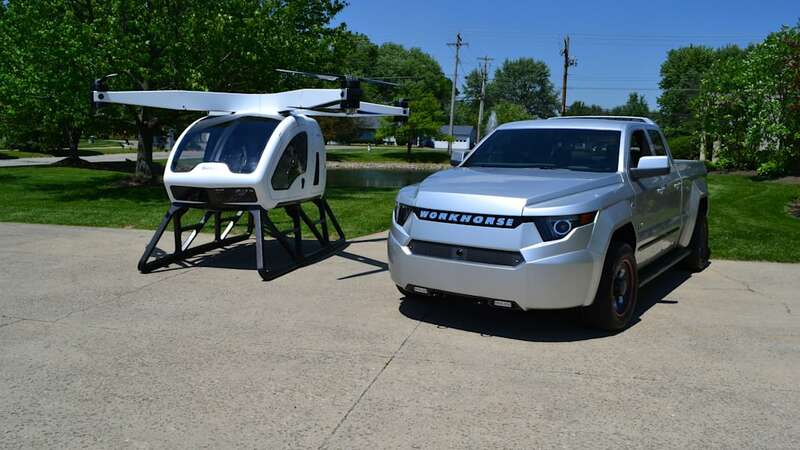 Workhorse, the company behind the new W-15 PHEV pickup truck, revealed the SureFly at this year's Paris Air Show. 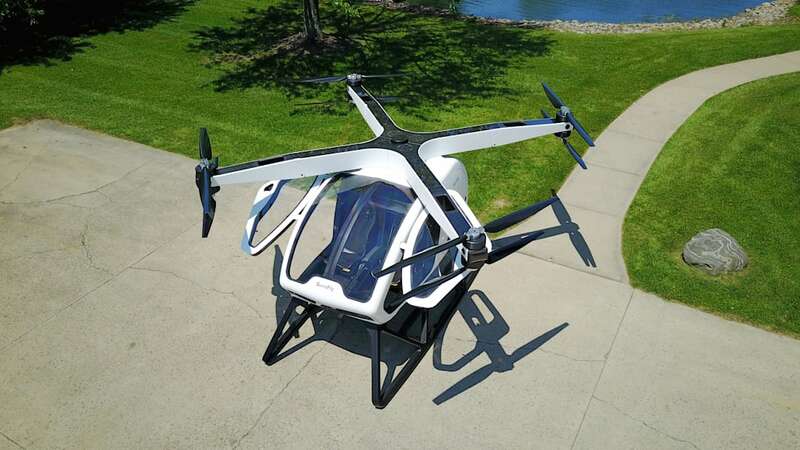 The compact, lightweight, and relatively affordable helicopter could just be the next toy for taxi drivers or bored members of the 1 percent. 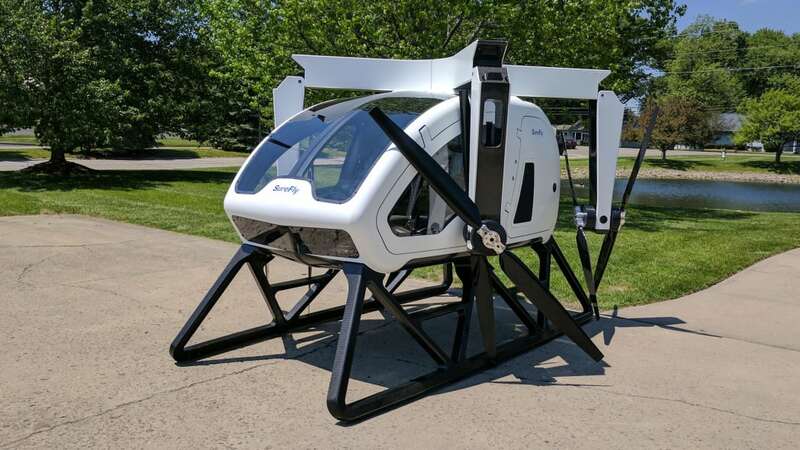 At first glance, the SureFly looks like a people-sized drone, with four arms and eight rotors rather than the traditional single-rotor helicopters that are common today. The end of each arm is sandwiched by two rotors. 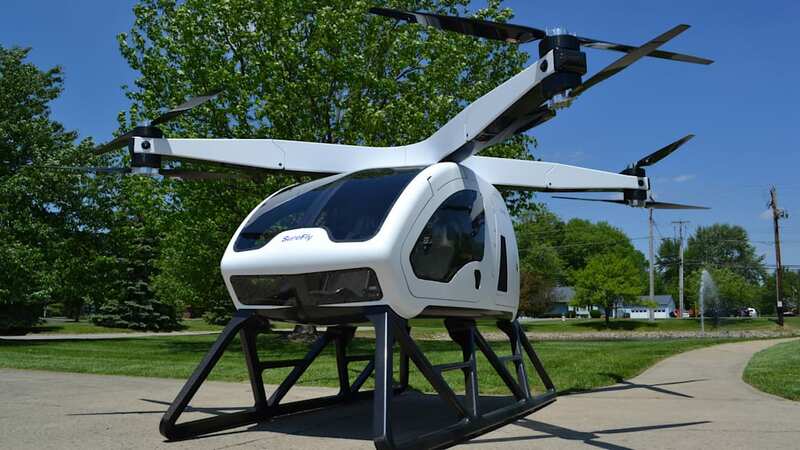 The SureFly uses a gasoline engine to power eight electric motors, one for each of the rotors. A pair of 7.5 kWh lithium-ion battery packs are used as a backup in case the gasoline engine fails. 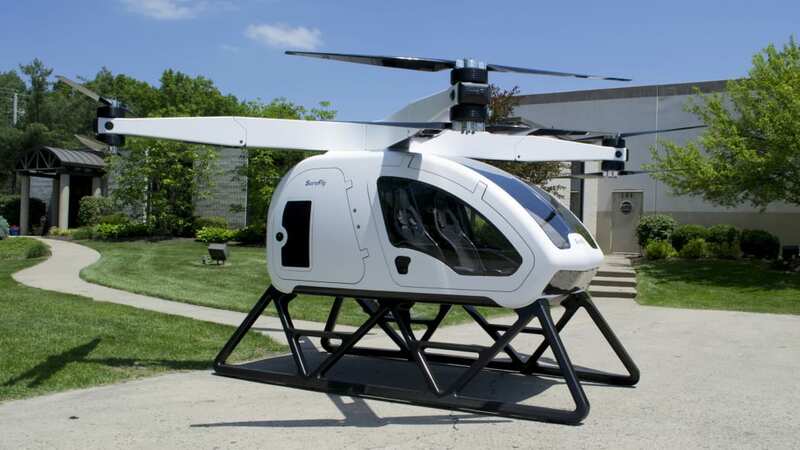 Together, they're good for about five minutes of power, enough time to land the SureFly. If that fails, too, there is a parachute mounted in the center. This works because the rotors are at the corners, not the center. Curb weight for the two-seat SureFly is 1,100 pounds. 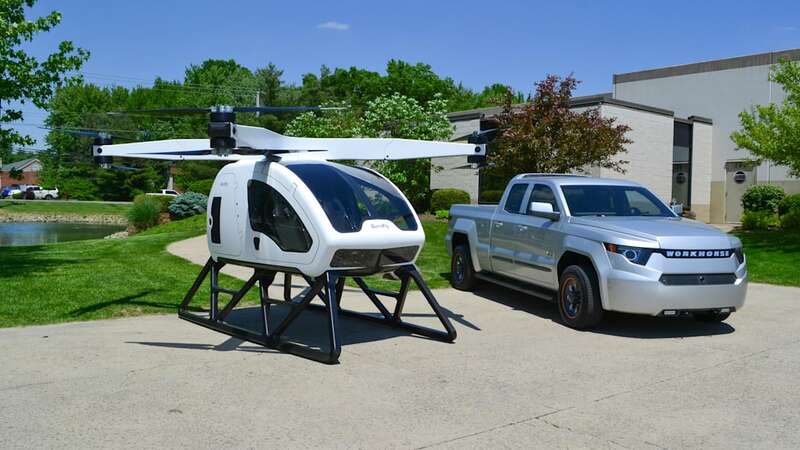 The maximum takeoff weight is 1,500 pounds. 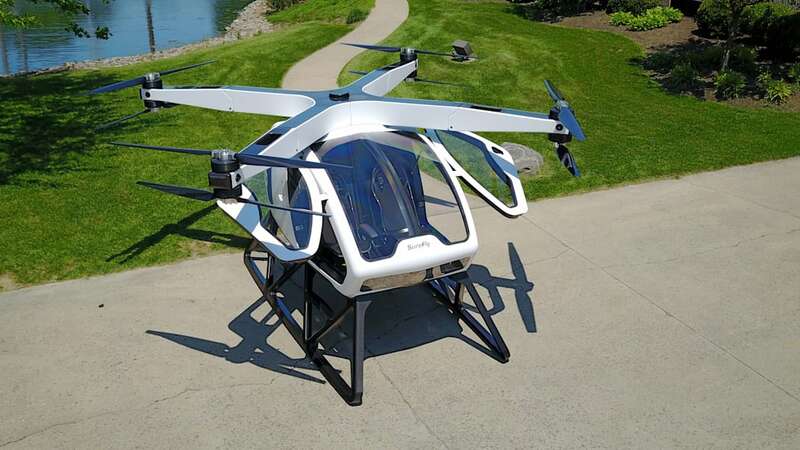 With only about 400 pounds of carrying capacity, Workhorse pictures the SureFly being used for local taxi service. 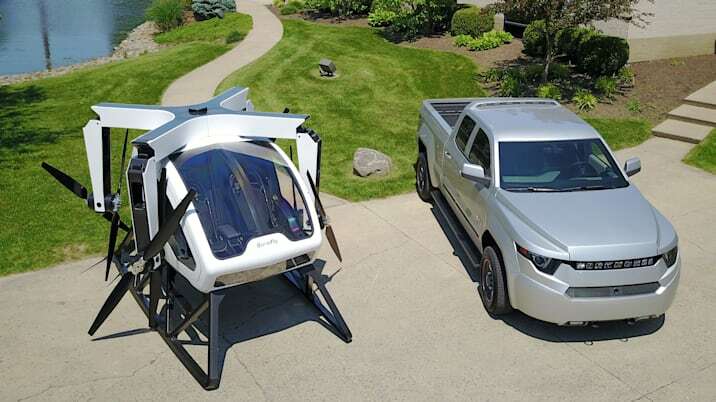 Total range is about 70 miles or about one hour of flight time, but since it's powered by a gasoline engine, filling up the tank provides another 70 miles of range. There's no waiting to recharge a battery pack. The flight ceiling is 4,000 feet. 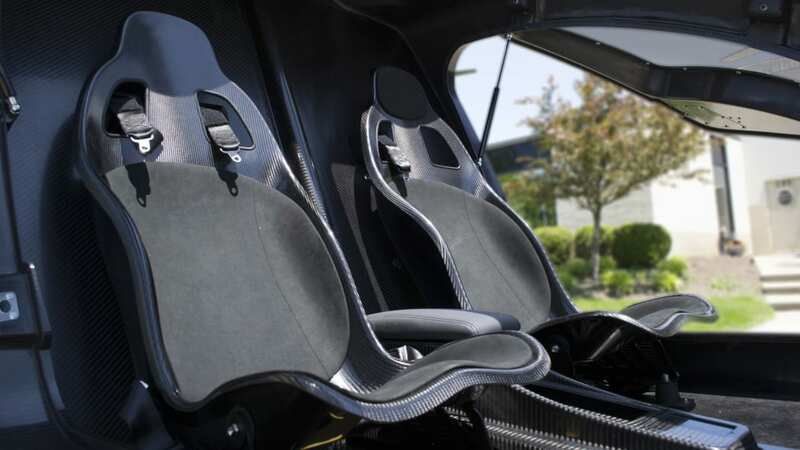 The fuselage and props are made from carbon fiber, partially exposed in places like the interior. One neat feature is the foldable propeller arms, allowing the SureFly to be stored in a standard sized garage. 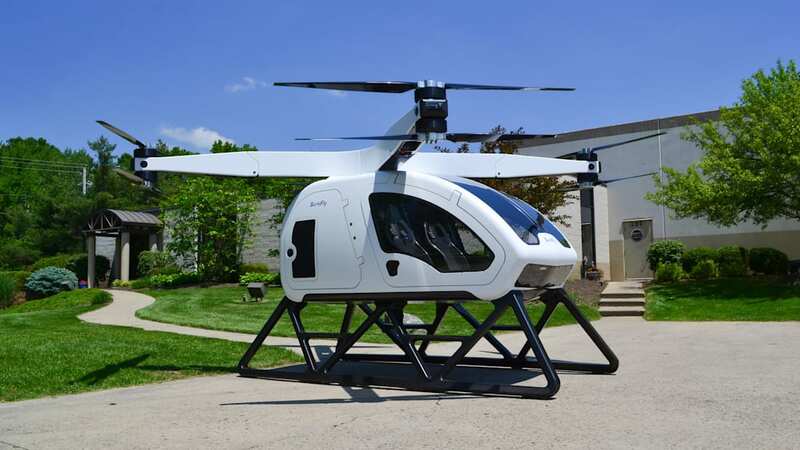 While not quite a flying car, the fact that it can be landed and stored at home is another step in the right direction. According to Flying magazine, the controls are relatively simple for an aircraft. There's a single joystick to control SureFly's forward, sideways, and yaw movements. Buttons handle altitude while the speed is automatically controlled by the computer. 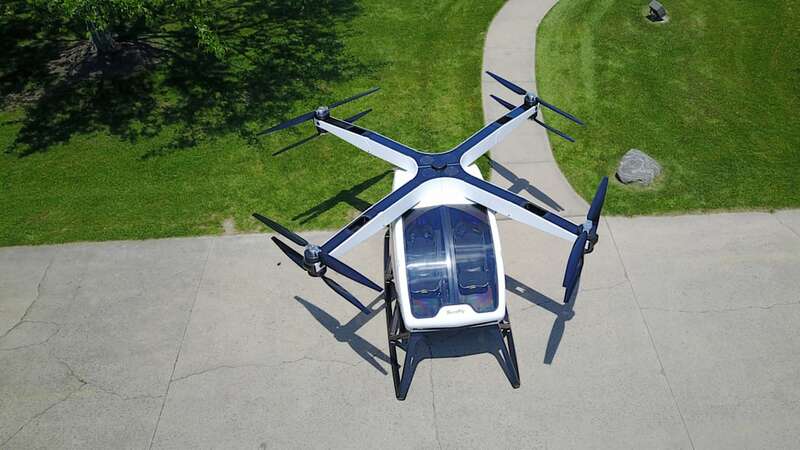 Since it requires a human hand at the controls, the operator still needs a pilot's license. That said, because it's classified as a light-sport craft, there's only 20 hours of training. A traditional helicopter license needs 1,500 hours of training. We're not sure if that's a good or bad thing. Those interested can contact Workhorse to reserve one. Yes, it will set you back about $200,000, but for a personal helicopter, that doesn't seem too bad. That's Audi R8, Porsche 911 Turbo S, and McLaren 570GT money, but nothing beats traffic like a personal aircraft.